Discover the world of MOVIS. Take the opportunity to download product descriptions along with 2D and 3D drawings. MOVIS Surfaces — The power of Cubes resonates from their unique appearance and endless variety: When it comes to size, color and print, this model allows you to give your creativity free rein. The standard prints available for MOVIS Cubes are bright, vivid and transparent. 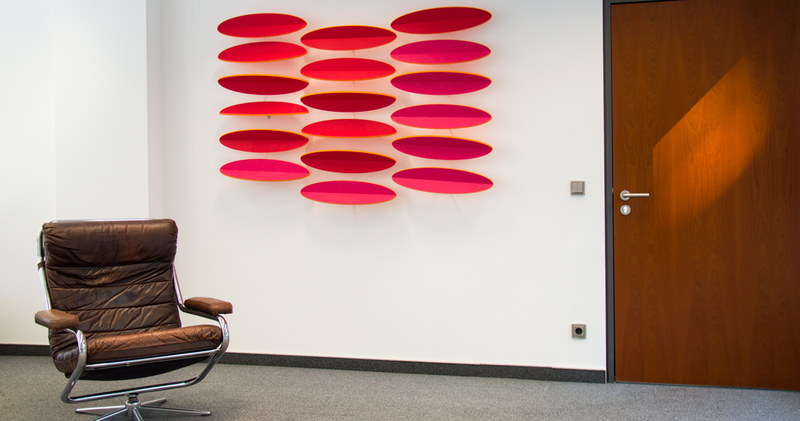 An installation of MOVIS Cubes lends your space a lively, inspiring ambiance. 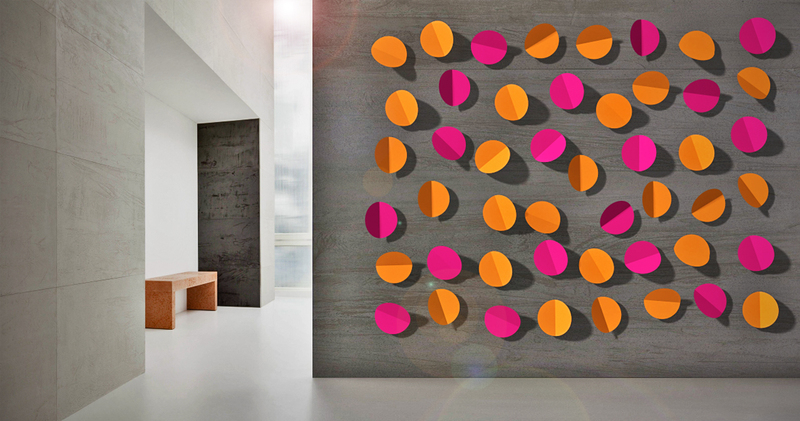 MOVIS MoreDots lend your room a graphic statement. What we particularly love about this model is its clear shape. With their floating appearance, MOVIS More Dots can either be arranged linearly or playfully. Only you can tell us what color combination strikes your fancy. We, however, can promise you that MOVIS More Dots will have a startlingly lively effect on your room – from every point of view. Front and back are printed in different colors, giving the installation a kind of coloration flow, depending on the viewing angle. Leaves borrow a clear and familiar shape from the natural world. Diverse arrangement possibilities enable a range of potential effects, from nature-inspired vibrancy to linear clarity. 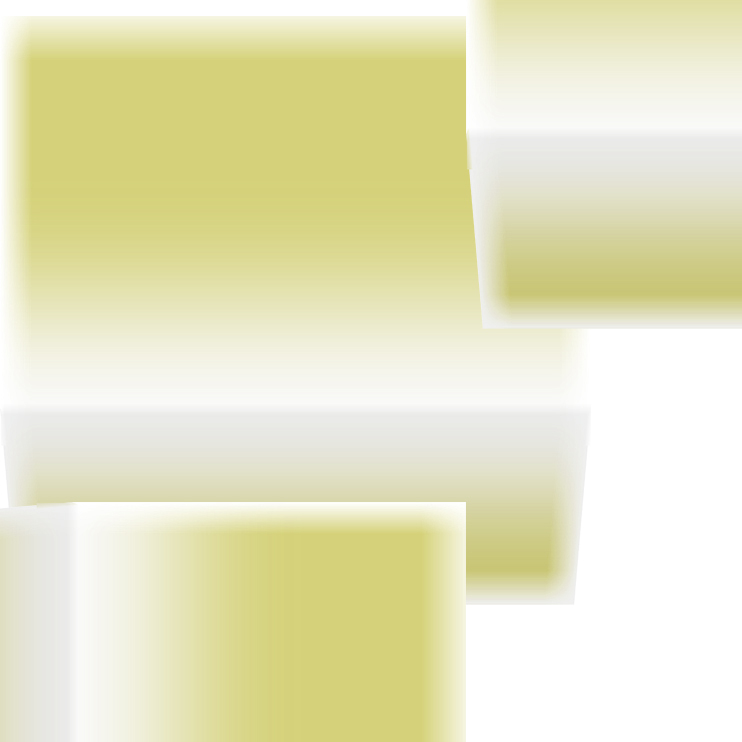 The different coloration options complete the image. Whether you opt for a graphically arranged design or a natural and haphazard-seeming installation, the archetypical form of MOVIS Leaves lend your space dynamism combined with the charm of nature. LightBoxes combine three of our passions: design diversity, light and functionality, in the form of their sound absorption properties. Each LightBox can be rotated in four directions and mounted at two different distances from the wall. This allows for overlapping and interlocking, which provides for energizing three-dimensionality. 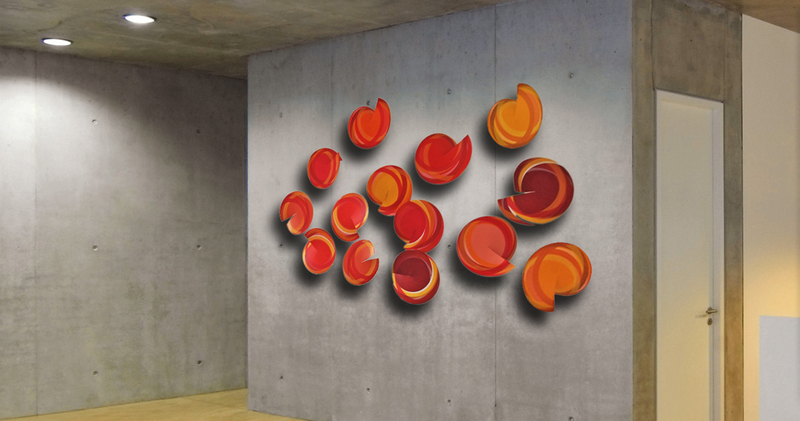 Dots energize your space by virtue of their exciting design. 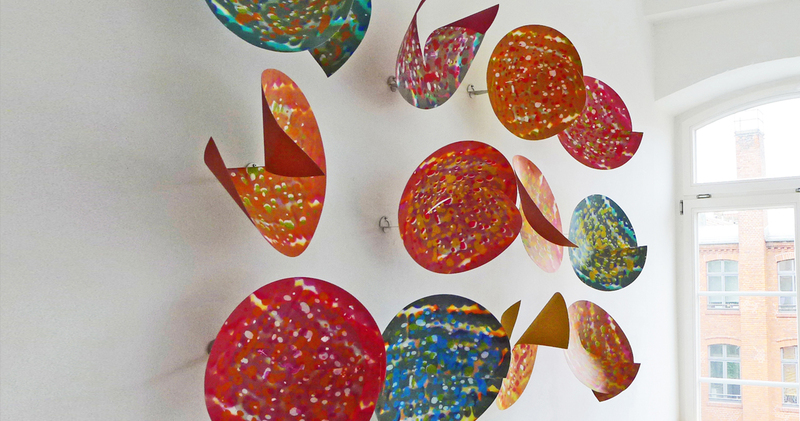 In combination with the broad palette of colors available, the impact of a MOVIS Dots installation changes with each new perspective: sometimes angular, at times dynamic – and always artistic and alive. 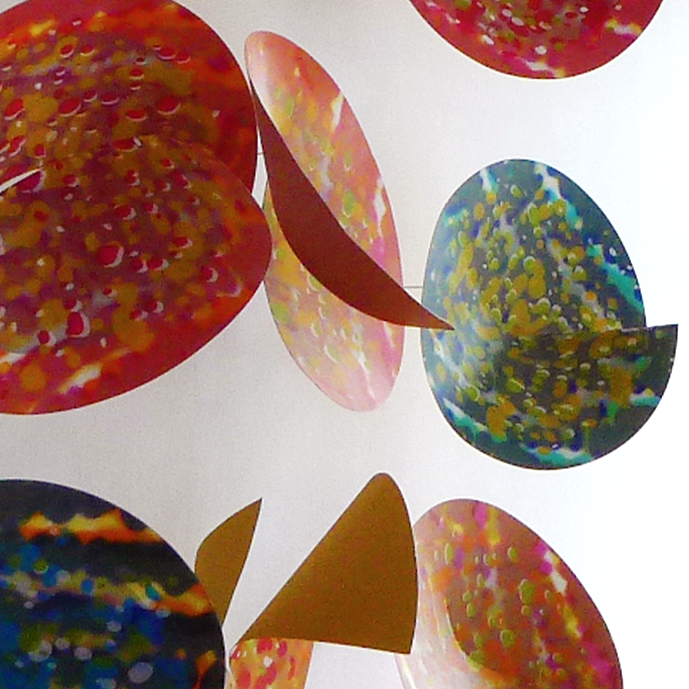 Please feel free to contact us with your individual size and print needs for your MOVIS Dots installation. 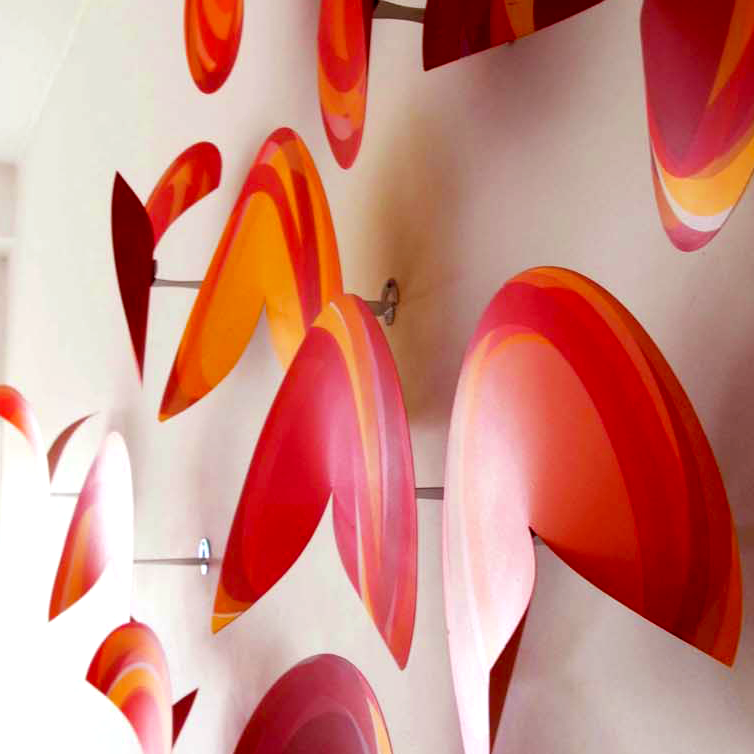 MOVIS SunSets energize with a stylized design inspired by nature. Depending on ambient light, the clear forms are reminiscent of an atmospheric sunrise or sunset. 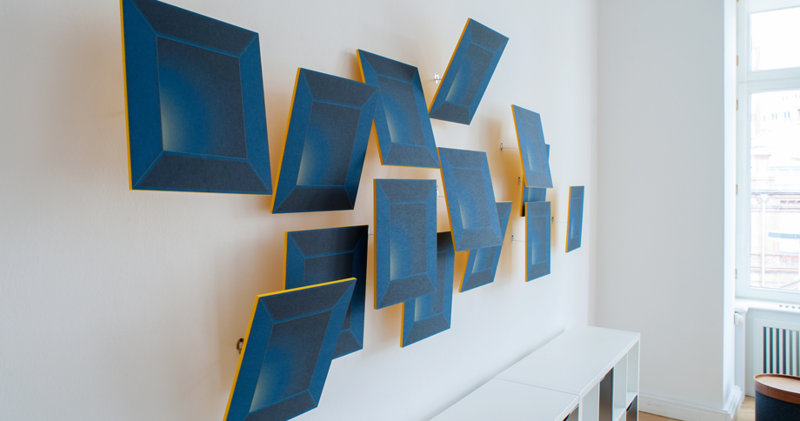 The triple-layered application of SunSets amplifies both the spatial and sound absorption effects, such that MOVIS SunSets are perfect for improving acoustics. Let’s stay in touch. We will keep you posted.